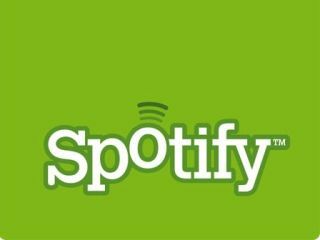 Spotify has apparently begun offering existing subscribers a cheaper deal for their premium accounts in association with Swiftcover.com. Music Ally broke news of the discount, with the monthly price bring dropped to £8.99 (for a limited time) to strip the music of ads. The reason for the loss is simply "thanks to our good friends at Swiftcover", meaning the insurance firm is looking to extend its tie in with Spotify beyond simply being an advert on the free service. But Pocket-lint is stating users are being offered subscriptions of £4.99 per month, with no reason being given for the disparity. The lower price would mimic other similar services being offered, such as Vodafone's Music Unlimited, although whether Spotify could lose half the revenue from subscribers this early in its life remains to be seen. The news follows 3's offering of a two year Spotify deal as part of a contract, essentially giving the premium account for £100 as part of the deal. We'll try and find out how long these deals will be continuing for, but those of you lucky enough to get a cut price Spotify code will at least be able to enjoy cut price tunes for the foreseeable future.